Deluxe Rooms have breathtaking views of the Arabian Gulf, spacious seating area, choice of twin or king size beds, walk-in shower with separate bath and Gulf sea views. Deluxe Balcony Rooms offer everything of a Deluxe Room along with your own private balcony. 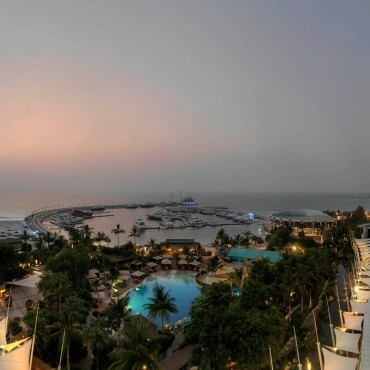 This impressive 26-storey luxury hotel with its landmark design represents a breaking wave rising dramatically from the ocean, is an extensive beachfront resort, ideal for those seeking an active holiday with a difference, especially for families. Children can enjoy supervised activities at the Sinbad Club and just next door is the worlds most technologically advanced water theme parks, Wild Wadi. The internationally known property boasts a wide selection of rooms, suites and villas each offering spectacular sea views with unashamed luxury and warm Arabian hospitality. 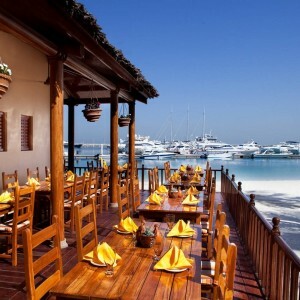 There are no less than 22 restaurants from which to choose from, including Italian, English to Arabic and Argentinean. 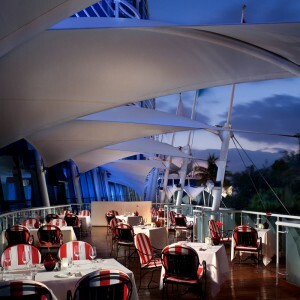 The Jumeriah’s Dina-Around option replaces half board and allows meals to be taken at any of the thirty dining venues at other hotels belonging to the same group.